Trading can be conducted on any timeframe. Depending on your preferences, it can be used both scalping and intraday, as well as medium-term and long-term. The basis for opening deals is the SFT Reversal Arrows indicator. It indicates a possible change in the direction of price movement. 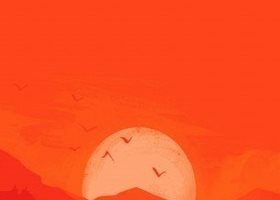 At the end of the article there are links to the indicator with a description and the possibility of free download, as well as its video review. Learn more about how to choose, install, test for free, as well as buy indicators, see YouTube on video tutorials. 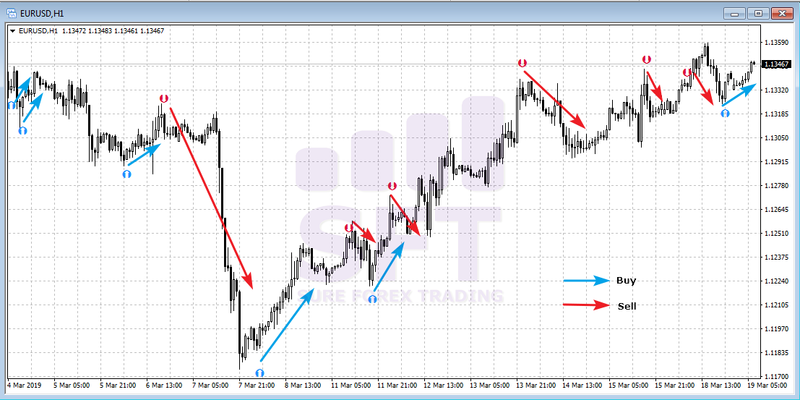 The settings described in this manual are indicated for the EURUSD currency pair. Other tools may require additional adjustment of the indicator parameters. 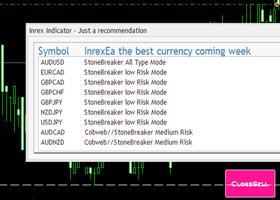 Experimenting a little, you can choose the settings for any trading tool. 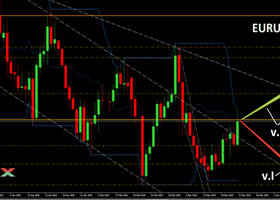 The direction of opened trades should correspond to the trend direction on a higher timeframe. If you trade on M1 or M5, then you should focus on M30 and H1. When trading on M15, M30 and H1, we focus on H4, D1 and W1, respectively. The exit from the transaction is carried out by the opposite signal (see the picture). 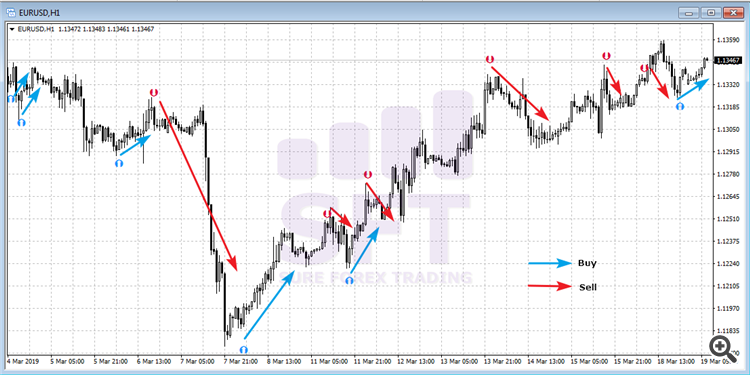 You can also exit the set orders SL and TP. When using SL and TP, it is advisable to set SL for the nearest extremum, and TP to be equal to from 1 to 2 SL sizes. It is recommended to work with this strategy only with reliable and proven brokers. Who have no problems with the withdrawal of funds. It is also desirable that ECN has accounts with a low spread and a low commission per transaction. Before you decide to open a trading account, be sure to read online reviews about your broker. Well, if you have difficulties with choosing a company, then in my blog you can find brokers with whom I personally work . These companies can be trusted. For more than seven years of experience working with them, no problems have arisen. Always adequate trading conditions, quality support and quick withdrawal. among which there are completely free, as well as paid, but with the possibility of free self-testing. We wish you a stable and profitable trade! To find out first about all new and bonus products. And also receive various utility and chips on the topic of trading.